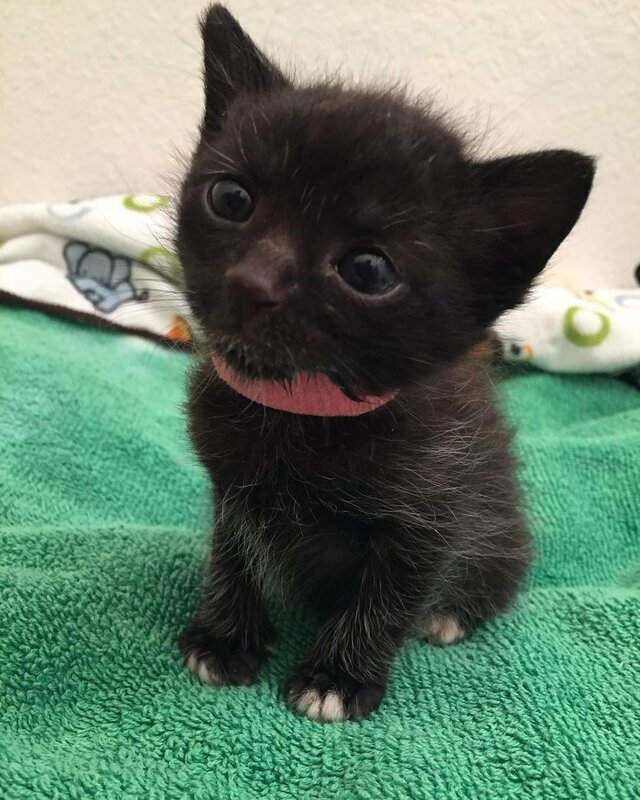 Ashby the kitten and her five feline brothers were rescued from an engine at the Bay Area Rapid Transit repair shop. 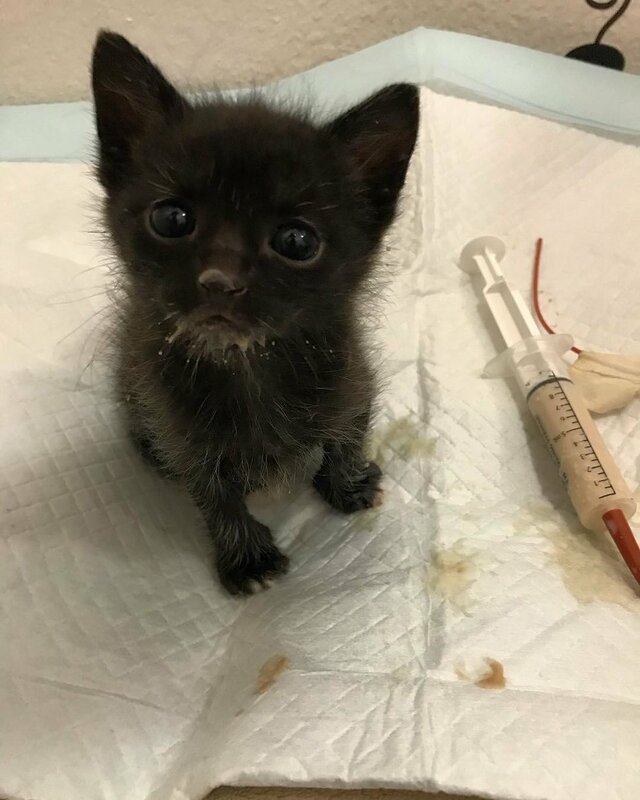 The kittens were taken to the shelter in need of round-the-clock feedings. 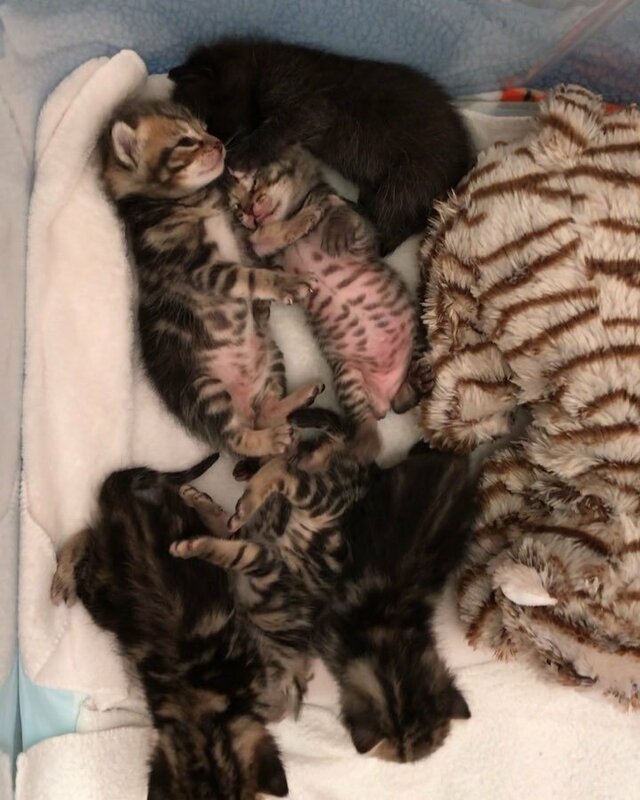 Wendy, an avid foster based in San Francisco, California took them in when they were just two weeks old. 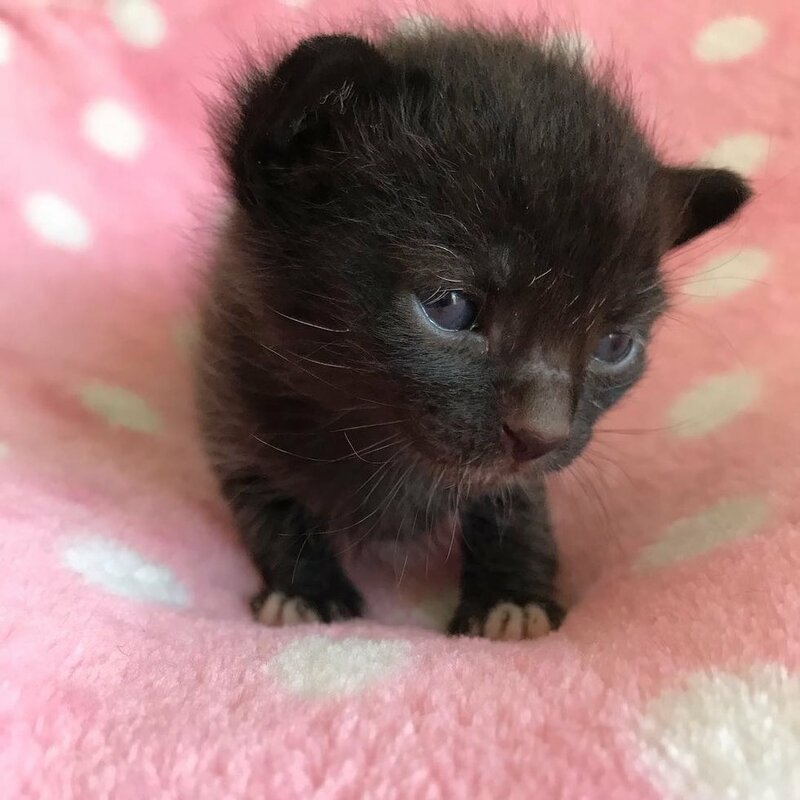 Despite her very best efforts and many sleepless nights, five kittens didn’t make it, but Ashby the only girl was hanging on and fighting to live. They were taking one day at a time and cherished every second with little Ashby, knowing it could be her last. Whenever Wendy walked into the room, little Ashby came right over from her little blanket-bed to greet her foster mom with her adorable farm animal sounds. Baby Ashby never ceased to amaze her foster family with her will to live.